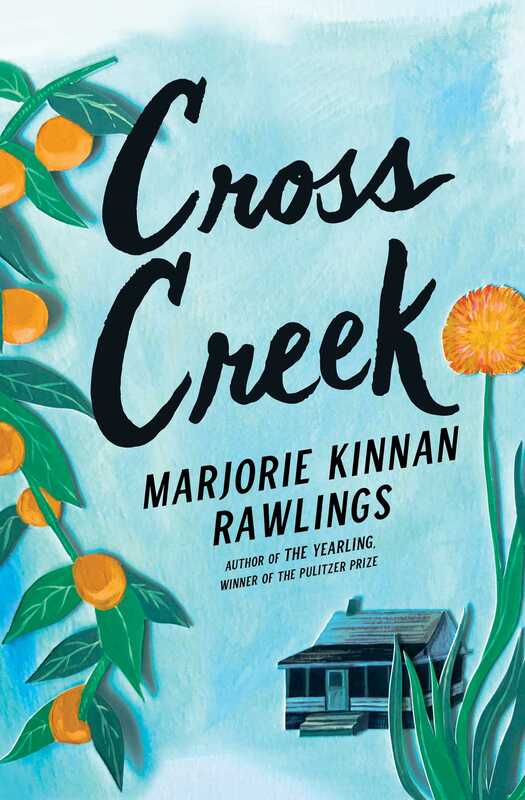 Cross Creek is the warm and delightful memoir about the life of Marjorie Kinnan Rawlings—author of The Yearling—in the Florida backcountry. Originally published in 1942, Cross Creek has become a classic in modern American literature. 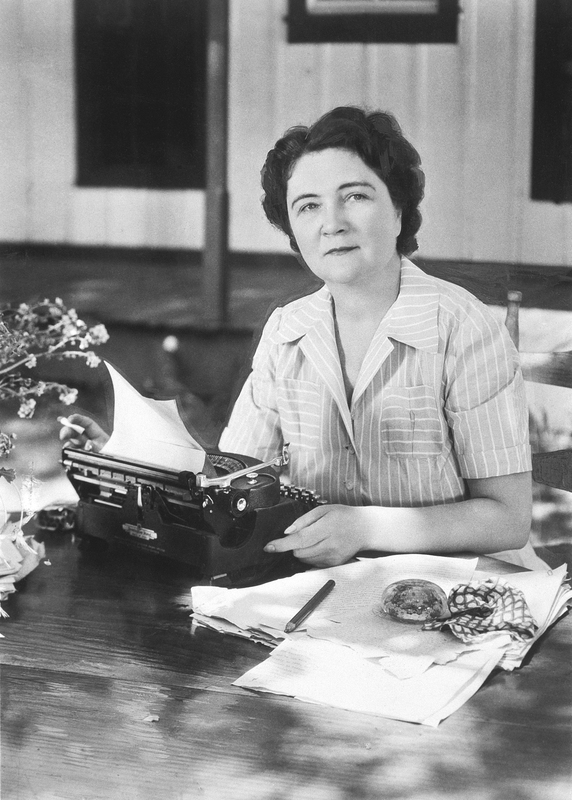 For the millions of readers raised on The Yearling, here is the story of Marjorie Kinnan Rawlings's experiences in the remote Florida hamlet of Cross Creek, where she lived for thirteen years. From the daily labors of managing a seventy-two-acre orange grove to bouts with runaway pigs and a succession of unruly farmhands, Rawlings describes her life at the Creek with humor and spirit. Her tireless determination to overcome the challenges of her adopted home in the Florida backcountry, her deep-rooted love of the earth, and her genius for character and description result in a most delightful and heartwarming memoir. The road goes west out of the village, past open pine woods and gallberry flats. An eagle's nest is a ragged cluster of sticks in a tall tree, and one of the eagles is usually black and silver against the sky. The other perches near the nest, hunched and proud, like a griffon. There is no magic here except the eagles. Yet the four miles to the Creek are stirring, like the bleak, portentous beginning of a good tale. The road curves sharply, the vegetation thickens, and around the bend masses into dense hammock. The hammock breaks, is pushed back on either side of the road, and set down in its brooding heart is the orange grove. Any grove or any wood is a fine thing to see. But the magic here, strangely, is not apparent from the road. It is necessary to leave the impersonal highway, to step inside the rusty gate and close it behind. By this, an act of faith is committed, through which one accepts blindly the communion cup of beauty. One is now inside the grove, out of one world and in the mysterious heart of another. Enchantment lies in different things for each of us. For me, it is in this: to step out of the bright sunlight into the shade of orange trees; to walk under the arched canopy of their jadelike leaves; to see the long aisles of lichened trunks stretch ahead in a geometric rhythm; to feel the mystery of a seclusion that yet has shafts of light striking through it. This is the essence of an ancient and secret magic. It goes back, perhaps, to the fairy tales of childhood, to Hansel and Gretel, to Babes in the Wood, to Alice in Wonderland, to all half-luminous places that pleased the imagination as a child. It may go back still farther, to racial Druid memories, to an atavistic sense of safety and delight in an open forest. And after long years of spiritual homelessness, of nostalgia, here is that mystic loveliness of childhood again. Here is home. An old thread, long tangled, comes straight again. I think that the shabbiness of the Creek is a part of its endearing quality. I for one might admire, but never truly love, an affluent perfection. The Williamsburg restoration, for instance, is fine and proud, but it is something only to be stared at. Old Williamsburg lived in a genteel poverty that was more elegant than the new shining Governor's mansion, for its gentility came not from superimposed wealth but from long years of gracious living. The restoration is a good thing, of course, and Time will make all come right again. The Creek shabbiness was never elegant and never will be. It is merely comfortable and weather-beaten, meeting Time halfway. I am sometimes tempted to put up a new fence across the house yard. I have always thought that a white picket fence must be a great comfort to a householder. I think of the pride I should take in seeing white paint gleaming from around the bend in the road. Then Snow the grove man becomes quietly tired of waiting for me to do something, and comes driving the farm truck into the yard over the cattle-gap with a load of fresh fatwood pine posts from the hammock. He asks, "You aim just to use the old gate, don't you?" I aim to use the old gate, and say so, and Snow goes ahead and replaces the rotten and sagging posts with new ones. He tightens the fence wire, "Hog and cattle 4-inch mesh,"and the effect is trim and eminently suitable. I tell myself that a white picket fence would interfere with the feeling one has inside the house of being a part of the grove; that a new fence would mean tearing out the coral honey-suckle vines that cling passionately to the old wire. But the real objection is that an elegant fence would bring to the Creek a wanton orderliness that is out of place. When I came to the Creek, and knew the old grove and farmhouse at once as home, there was some terror, such as one feels in the first recognition of a human love, for the joining of person to place, as of person to person, is a commitment to shared sorrow, even as to shared joy. The farmhouse was all dinginess. It sat snugly then as now under tall old orange trees, and had a simple grace of line, low, rambling and one-storied. But it was cracked and gray for lack of paint, there was a tin roof that would have ruined a mansion, and the porch was an excrescence, scarcely wide enough for one to pass in front of the chairs. The yard was bare sand spotted with sandspurs, with three lean Duchess rosebushes left behind to starve, like cats. Inside the house, all the delight of the Florida sunlight vanished. The walls were painted a battleship gray and the floors a muddy ochre. The brick fireplaces were walled over with tin and filled with a year's rubbish. It was four years before the gray of the last room was decently covered with white, money for paint being scarce, and time so filled with other work that an hour with the brush was a stolen pleasure. And even now, the house shining inside and out, roofed with good gray hand-hewn cypress shingles, the long wide screened veranda an invitation to step either inside or out, the yard in lush green grass, there is still a look of weather-worn shabbiness. It is a constant reminder that wind and rain and harsh sun and the encroaching jungle are ready at any moment to take over. I suppose that a millionaire, perhaps even just a New Englander, might stand off the elements and maintain a trim tidiness -- and a picket fence. But the rest of the Creek would not know what to make of it, and would be made most unhappy. The battle has not gone too well for all at the Creek. One or two have gone ahead, some hold precariously to the narrow ledge of existence, and others have slipped back, and back, until each day's subsistence has become a triumph. Their houses reflect their fortunes. Mine lies the farthest east in the small settlement. To the west are my neighbors, my friends. There have been enmities. At the moment, we are living in unparalleled amiability, a state at Cross Creek that, like a sinner's hope of Heaven, is never assured. But it makes a good moment in which to speak of other people. I live within screaming distance of Tom Glisson and Old Boss Brice. This is literal. No ordinary sound carries from one place to the other. We hear faintly the barking of one another's dogs. We hear the far crowing at dawn of one another's roosters. Occasionally, when the wind is right, I hear the Brice or Glisson cows lowing at milking time, night or morning. No voice carries, ever. A determined scream is audible. This I proved, not in a time of fear, but a time of fury. I should be ashamed but am not. Of folk who would have been silent under the circumstances, there comes to mind only St. Francis, and I believe that he might have cast despairing eyes to Heaven. I can bear much physical discomfort and a great deal of actual pain, but now and then one achieves a combination of bodily annoyances that makes Job's boils seem a luxury. I shall be brief and explicit. I was entirely alone on the grove. The summer was one of the two unbearable ones, as to heat, that I have known in my years here. Summer is our unproductive period for vegetables. I had been some time without them, and was afflicted with an itching rash that I recognized too late as nutritional. The Widow Slater and I had been repairing fences together, for I gave her pasture for her milch cow in return for milking my own. We had plowed through long vines of poison ivy along the decrepit fence. Her long black flowing skirts had evidently protected her. I had worked stockingless and in brief voile. The poison ivy had erupted from hips to ankle, from fingertips to throat, overlaying the rash. Soothing ointments and a prone position might have brought some ease. I was far from ointments and too busy to lie down. My cow broke loose from the pasture and came into the grove, tearing at the low-hanging orange boughs. I drove her out and penned her properly, and returning to the house, found myself in the middle of a patch of sandspurs waist-high. These barbed instruments of torture are all the proof one needs that there is a devil as well as a God. I was enmeshed with sandspurs, they stuck to voile skirt and to petticoat, creeping up underneath and getting a firm hold with one or two barbs, leaving the others free to grate against my skin. On normal skin they are like arrows. On a skin covered with rash and poison ivy, they were shafts of fire. I plucked at them as I went and came to the house. There the dogs were waiting for me, shut on the back porch, since they had nothing but chaos to contribute in the matter of penning a cow. I did not think they had been there very long. Even for puppies, it did not seem too much to ask of them that they wait like gentlemen for, say, half an hour. There were four, all told. There was my own puppy. There were two of his litter mates that the travelling owner had asked me to keep for him. There was old Sport, whose huntsman master, my friend Fred, had left with me while he fished on the east coast. I can only relate that time is relative, and that what seemed like a short period to me, was evidently a long, long time in the minds of three puppies. Old Sport had become excited at their incontinence and forgotten himself, too. The porch was a shambles. Water for cleansing had to be brought from the outside pump, a bucket at a time. It took twenty buckets, as I remember, and dusk was on me when I finished. I went then, the porch well cleaned, wet and glistening in the fading light, to water my garden. There were a few carrots that I hoped to bring through the heat, a few zinnias, half a dozen desperate collard plants, poor things but mine own. I pulled away sandspurs abstractedly as I carried out the watering pot. The mosquitoes descended on me. One would think that exposed neck, arms and face would suffice the hungriest of insects. But a mosquito is Freudian, taking delight only in the hidden places. They wavered with their indecisive flight up under my skirts and stabbed me in the poison ivy, in the nutritional rash, around the sandspurs, and settled with hums of joy in all unoccupied small spaces. It was too much. I set down the watering pot, and with no thought of help for my distress, for I was past helping, let out shriek after shriek of sheer indulgent frustration. As I say, St. Francis might have blessed the puppies and old Sport and the mosquitoes, with a kind word thrown in for the sandspurs, but I am not of the stuff of saints. I screamed. The screaming satisfied me. I finished the watering, went into the house, fed the dogs, made myself a supper, and went to the veranda to meditate. As I sat, exhausted but content, two figures strolled cautiously up the road and paused in front of my gate. It was Tom Glisson and Old Boss. Old Boss called, "Everything all right?" "Why, yes," I said. "Yes, indeed." Tom said, "Seemed to us like we heard somebody call for help. We just wondered, was everything all right." I hesitated. After all, there was nothing to be done, and at the moment, it seemed, all was too embarrassing to be told. "I was singing," I said. "Perhaps you heard me -- singing." "Oh," they said, and turned and walked home again. So I say that I live within screaming distance of my nearest neighbors. Old Boss' grove joins up with mine. We share an east-west fence line and a double row of spite trees. The spite is none of our doing, but an inheritance from earlier owners of the adjoining groves. There was a day, before the Big Freeze of '94-'95, when oranges were truly golden apples, bringing, in their rareness, incredible sums. Suitable orange land was considered worth its weight in gold. So the two unfriendly neighbors planted their orange trees, each as close to the joint fence as possible, to get all the good of the priceless soil. The result is that two lines of scrawny trees send out their roots futilely in search of sufficient nourishment. Among large trees, there are few of whom two can live as cheaply as one. Old Boss wandered down to Florida from Georgia as a boy, nearly sixty years ago. He came down to die, he told me once, and wanted to die in the tropical sunshine. He is still a frail little man, but I think he drew sustenance from the sun and earth and the fruiting trees around him. He clerked in a country store in the village and became the owner. He yearned always for the Creek, he said. At last he took over the neglected grove on an unpaid mortgage and moved out. It means to him precisely what it means to me, and we sometimes sit together on his back porch and just look about us and say nothing. We seldom meet, but when we see each other down the road, we wave, and I know that the same warm feeling comes over the old man that comes to me. He has been father, arbiter, disciplinarian to all the Negroes who have ever lived or worked here. I challenged his authority on one occasion, but that is another story. His house is a rococo two-story affair, tall and gangling like an antique spinster. There is bamboo in the sandy yard, and hibiscus and allamanda, and a pittosporum that is so old it is not a shrub, but a great tree, covered in spring with minute flowers of a strange exotic scent. The house is on the opposite side of the road from mine, just out of sight. Tom Glisson lives on the same side of the road as I do, and opposite Old Boss. Tom has prospered. He and his wife are Georgia folk, too, and as hard workers as I have ever known. I am not at all sure that Tom can read or write, but he talks well, with a flair for the picturesque and the dramatic. He was put to the plow when he was so small he could scarcely reach the plow handles, he told me. He was given no education. "I made up my mind," he said, "my young uns would get a better chance than their daddy." It has been good to see the three children grow tall and bright and handsome. The oldest boy even had a year at the University. The youngest, "J. T.," was a tragic little cripple when I first knew him. I would see him hobbling down the road on his crooked legs, with the luminous expression on his face that seems peculiar to those we call the "afflicted." Tom and his wife were not of the breed to accept an evil that could be changed, and they worked day and night to save money to send the boy away for braces and treatments. Now he too is tall and strong, and I saw him ride by yesterday on his own dwarf-mule, talking to himself and lifting his hand to an invisible audience. He was, I knew, the Lone Ranger or perhaps Buck Rogers, but he took time out courteously from his duties to call "Hey!" to me, then returned to his important and secret activities. The Glisson house is small and brown, well kept, and the yard has been slowly given shrubs and even a bit of grass. Tom raises hogs and some cattle, has built up a little grove, and he and his wife do anything profitable they can turn their hands to. They have fought ill health as well as poverty, and it is sometimes hard to feel sympathy for what seem offhand less fortunate people, knowing what can be done with courage and hard work and thrift. Tom and I began with a strange mistrust of each other, and had some harsh encounters. I was in the wrong, and that is a story, too, and now I know him for a friend and would turn to him in any trouble. There are no further houses until you take the sharp curve in the road that sweeps down to the Creek itself. There is a patch of thick hammock, an open field, and then, on the right, Old Joe's abandoned house. Old Joe Mackay is the last of a good farming family. The Mackay acres were well-tilled and profitable some fifty years ago. There has been no regular cultivation for years, though now and then lately some farmer from the village rents the largest cleared field to raise some special crop. Old Joe lived alone in the old Mackay house. He is ageless in appearance, small and stooped and wiry, with his thin face ruddy from being on Orange Lake in every sort of weather. He runs a catfish line for a living. The house is as silver gray as the speckled perch he sometimes catches. It is a tall box of a house and even in its desertion maintains a look of sturdy livability. It was a good house in its day. Something about it is beautiful, its color most of all, and tall palms bend over it, and there are live oaks and holly and a few orange trees around it, and the hammock is a soft curtain beyond it. It was because he had a house that he was able to get a wife. His good friend Tom Morrison found a very pretty widow. He married the pretty widow to Old Joe, and Tom and Old Joe and the widow and the widow's children lived happily in the house. Tom said, "Somebody has to look out for Old Joe." I suppose the roof leaked, as old roofs do. The cockroaches may have become too abundant in the walls and floors. At any rate, the contented family left the house a few years ago and moved a hundred yards closer to the Creek, into the abandoned church on the same side of the road. They put up partitions to make rooms, moved the old pews out into the yard and swept out the hymnbooks. The church has made a fine home. It sits under a magnificent live oak and is cozy in winter and cool in summer. The old Mackay house was turned over for a time to Aunt Martha Mickens and her husband, Old Will. It was agreed that Martha and Will, progenitors of all the colored help that had ever been at the Creek, should be brought back home again. Old Joe's wife found Martha good company when she was alone. There was trouble, and Martha and Will were obliged to leave, and that again is a story. The old Mackay house is now tenantless. But it is still hospitable, and when some family in the environs finds itself temporarily roofless, it moves in for a time, and then moves on again. The house has sheltered a slow stream of deserted husbands and wives with large numbers of children, homeless for the moment. At an angle from the bend in the road is a deep sand road that leads through hammock, and past the north edge of Old Boss' grove, to another house. The house is not the same one that was there when I first came to the Creek. It seems as though one house, one family, is all the dusky break in the forest will tolerate. The house I used to know belonged to Old Boss and was inhabited by the Widow Slater and her brood. The Slater house lived from rain to rain and the Slaters from hand to mouth. The widow moved back to Carolina with her "chappies," leaving Snow behind, and in time he became my grove-man and co-worrier over the hazardous fortunes of my grove. The Slater house, stricken of the moral support of human occupancy, fell promptly to the ground. Now there is another small house up the deep hammock road. The Bernie Basses live there. This makes up the white population of the Creek. Across the lovely Creek itself, over the narrow bridge, are scattered in a migratory flux two or three other families. We do not say of them that they live "at" the Creek but that they live "beyond" it. Mr. Martin is a newcomer. He has prospered and I presume he is here to stay. It looked at one time as though the Creek area were too small to hold both me and Mr. Martin. If Mr. Martin had put me under the jail, as he threatened, or sent me to eternity by way of gunshot, as he wanted, I should have made an effort to take his big burly body along to either place with me. We have become good friends. I was never angry with Mr. Martin. He was only angry with me. Past Mr. Martin's place have been Mr. Swilley and George Fairbanks and the Townsends and Mr. Marsh Turner. Mr. Swilley has gone of late to a widow and Mr. Marsh Turner has gone to Hell. I know he is in Hell by his own choice. And even if the Angel Gabriel forgave his sins, as his friends did, and called him to Heaven, that peaceful and virtuous stamping ground would above all be Hell to Marsh. George Fairbanks drifts from cabin to cabin and the Townsends drift from one new baby to another. They have a young un, as we say, every time the woods burn, and each one is welcome and a fresh surprise. The colored population of the Creek has the solid base of the Mickens family, against which other transient Negroes surge and retreat. When old Martha Mickens shall march at last through the walls of Jericho, shouting her Primitive Baptist hymns, a dark rock at the core of the Creek life will have been shattered to bits. She is nurse to any of us, black or white, who fall ill. She is midwife and layer out of the dead. She is the only one who gives advice to all of us impartially. She is a dusky Fate, spinning away at the threads of our Creek existence. The Atlantic Monthly It is hard to see how anyone can read Cross Creek without pleasure amounting to glee.